This last post in our HVAC “Spring Cleaning” blog series addresses how to properly clean your cooling system’s air conditioner coils. Dirt and grime build up on air conditioner coils if they’re not cleaned, causing the system to work harder. Not only that, but dirty air conditioner coils increase the cost to run your system and decrease cooling. Dirty coils also reduce the life span of your equipment and they interfere with the adequate heat transfer, requiring more electricity to run the system. Dirty evaporators can spread mold and other contaminants, causing poor indoor air quality, which leads to the potential for people to experience respiratory issues. 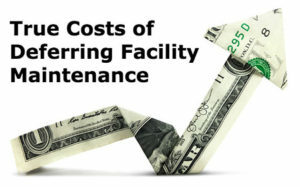 A clean system lasts longer, works at peak efficiency and saves the cost of expensive repairs. You can improve the efficiency of your cooling system 16% just by cleaning the evaporator and air conditioning coils. 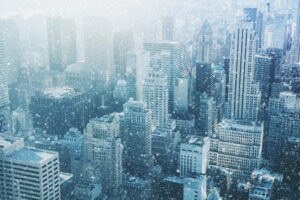 High-pressure cold water is the most effective way to thoroughly remove dirt from coils, according to EnergyExperts.org. Pressurized water pushes dirt back out of the coils, but using too much pressure can bend the coil’s delicate fins. The aluminum fins, responsible for heat exchange, become permanently ruined if they’re bent. Heat and steam aren’t recommended to clean coils as they cause high pressure within the coils, potentially damaging them. 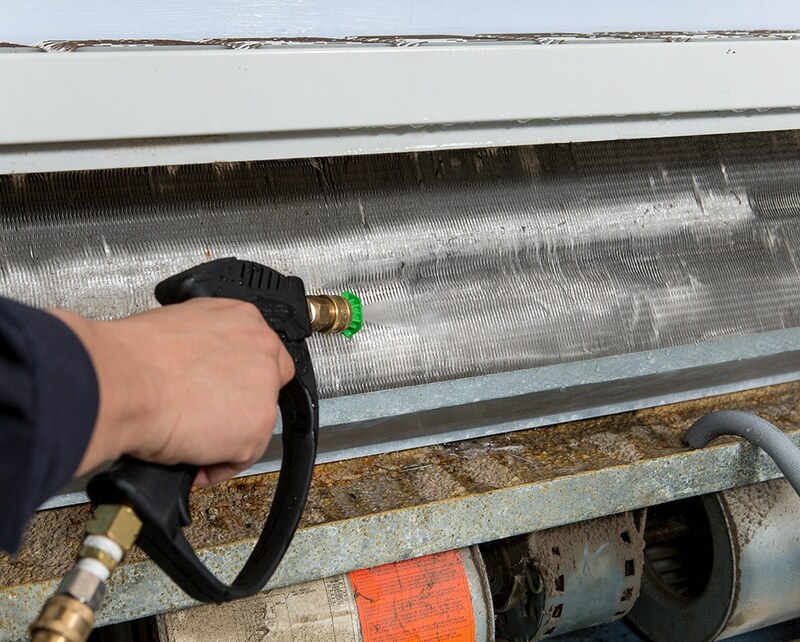 Our step-by-step “How to Clean Air Conditioner Coils” checklist walks you through the process for cleaning both air handler and condenser coils. Goodway’s two-speed vacuums remove dry debris from tight spaces and blow off dirt and dust. A coil cleaner outfitted with a low pressure fan nozzle washes debris from coils, keeping the pressure below 140 psi to protect coils from damage. Adding a biodegradable, nontoxic foaming detergent to the cleaner penetrates and loosens tough dirt and grime from coils. Spraying a mold inhibitor on the coils after cleaning prevents the growth of mold, mildew and other contaminants. Adding biocide tablets to the drain pan keeps slime and other bacterial growth from building up for at least three months. Thanks for the checklist! 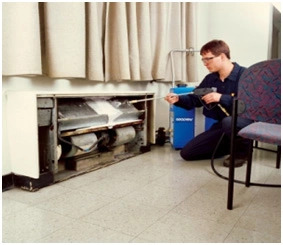 High-pressure cold water is indeed the best and easiest way to clean air conditioner coils. If you’re a DIY man, you can actually clean it by yourself! Thanks for the comment. Make sure it’s not too high pressure otherwise coils can quickly be ruined. Also, make sure to clean opposite the airflow, otherwise dirt and debris just get packed deeper into coil beds. Try our wonder wand attachments for your coil cleaner or pressure washer to hit those hard-to-reach areas. I am a facilities manager. 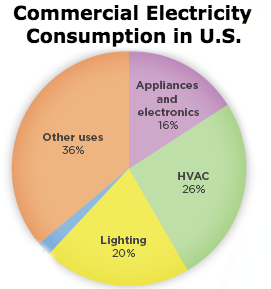 We need to clean coils on our roof-top HVAC units. We cannot use cleaners due to Environmental concerns. 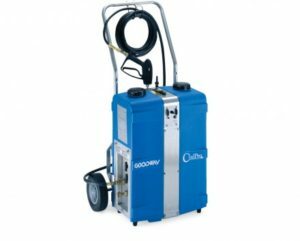 Can I clean coils with low pressure power wash and just water ? I have downloaded one of the cleaning checklists – how to clean cooling towers. It helped me a lot. Thank you for that. When I try to access the HVAC cleaning checklists I get an error that states that the page cannot be found. Have you removed this information? Hi Don. Sorry for that. You can go ahead and try it again. They have been fixed.